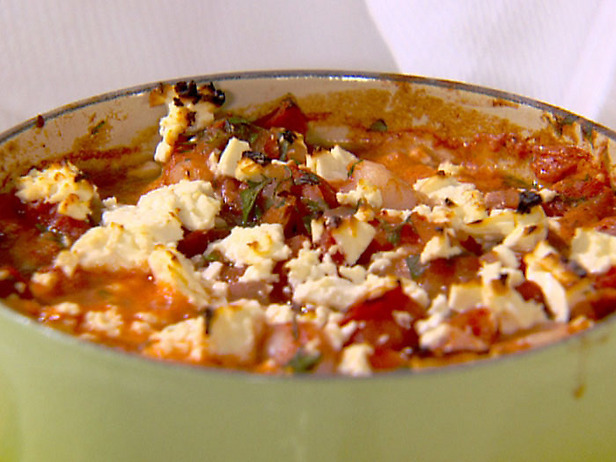 I have been making this Baked Shrimp with Tomatoes and Feta recipe for years and it's one of my all-time favorites. Friends and family ask me to make it when we are having group dinners and it's always a crowd pleaser. The recipe is from Ellie Krieger of Food Network and was featured on her Healthy Appetite show. I've served it over quinoa as a main course and I've also served it as an appetizer in little cups on it's own. It would be great served over any grain or pasta. The dill makes this dish incredibly aromatic. And, you won't believe how quick and easy it is to make! Click here to see recipe.